Can you believe summer is actually over and we're already mid September. London hasn't exactly got the message about Autumn arriving yet, since the heat & humidity is still going strong. At this point I'm actually looking forward to the weather cooling down a bit so I can enjoy everything that Autumn brings. With that in mind I decided to put together a list of my Autumn essentials, including a brand new fragrance from Viktor & Rolf. That's right the creators behind the ever so popular Bonbon & Flowerbomb scents, have released a new scent to add to their collection. Meet Bonbon Couture* which is officially released on the 14th of September (yup that's tomorrow and you can find it in Selfridges Beauty). 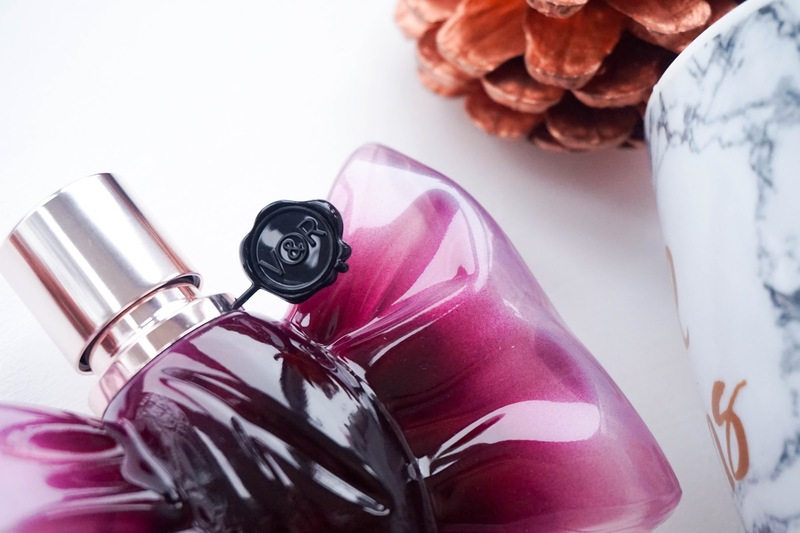 First up on my list of autumn essentials I've got my perfect fragrance. 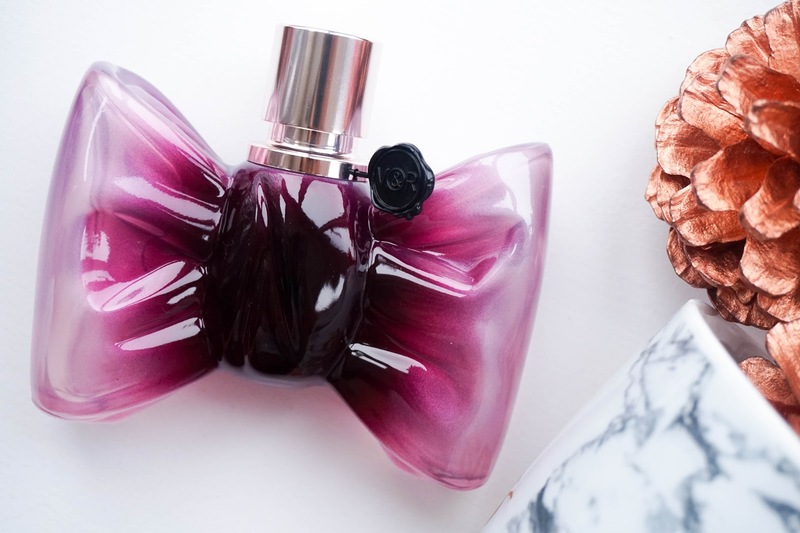 I don't exactly stick to one fragrance for a whole season, but I do gravitate towards a firm favourite & at the moment I'm testing out this newbie from Viktor & Rolf. So as I mentioned above I was luckily sent this new fragrance by the team at L'Oreal & Armani beauty. I already own the original Bonbon fragrance (well the very few last drops) so before even opening the package I knew I would love the scent overall. Of course it hasn't disappointed & it's become my go to scent at the moment. First of all I love the packaging, the pretty pink design is the same as the original fragrance but with a lighter pink ombré effect on the edges. 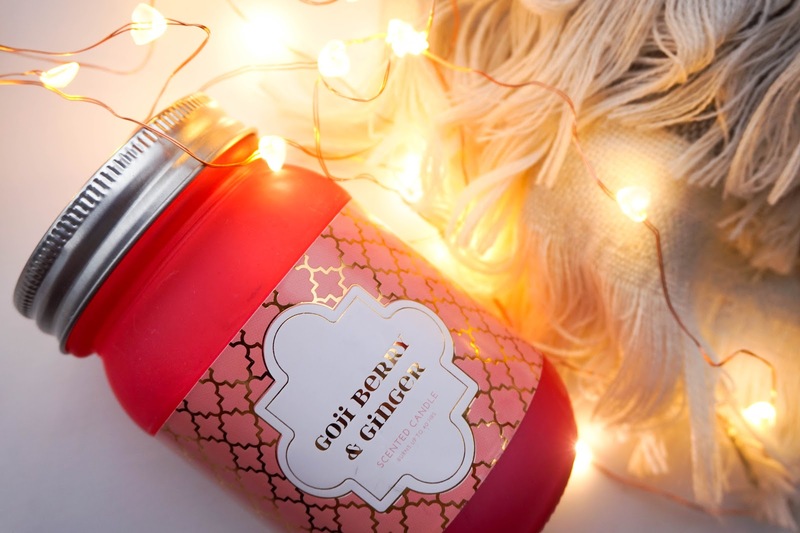 Very girly, fun yet it has a luxe feel to it and it's perfect for your dressing table. The "Couture" interpretation of the fragrance focuses on a more intense, luxurious and stronger version of the original scent. This new edition starts off with a combination of mandarin, neroli oil and peach, sweetened by a dominant caramel tone. You will then sense floral heart notes such as orange blossom and Sambac jasmine. The base is defined by a woody tones of sandalwood and patchouli, with vanilla and blonde tobacco. It really is an interesting fragrance overall and steps back from the sweetness of the original, since it has more of a warm spice to it. I think the slight changes make the new fragrance more sophisticated and mature, which gets a huge thumbs up from me as with time and age I definitely lean towards scents that have more depth to them. 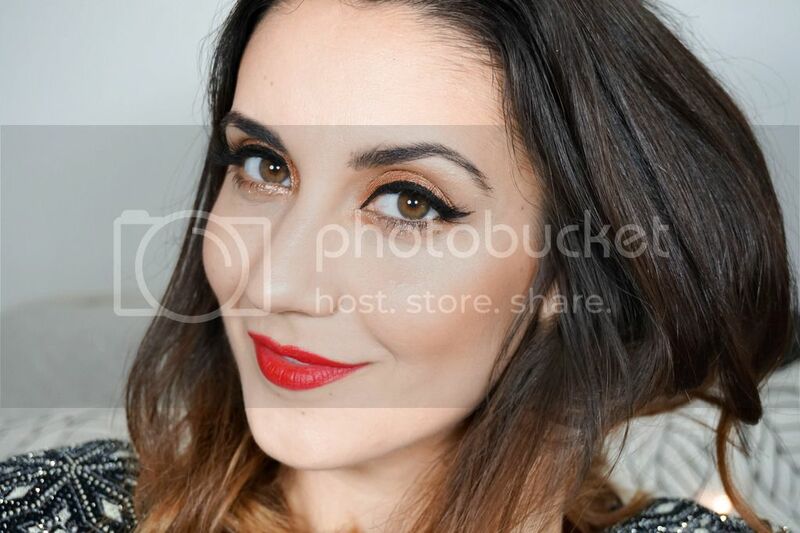 Next up on my list of autumn essentials I'm turning my attention to makeup in general. I'm the kind off person that changes their makeup with the season, so when the weather cools down I switch up my routine. 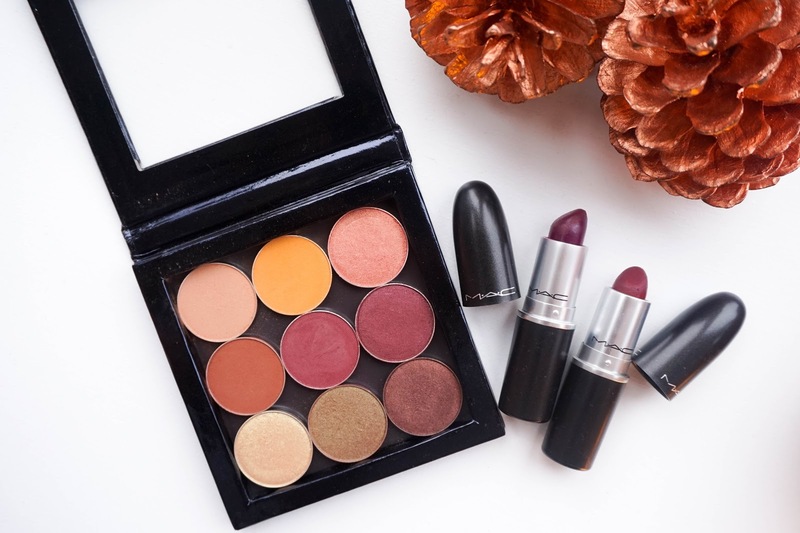 Without focusing on specific brands, I like to change my makeup products when it comes to the tones and shades, as I opt for dark statement lips and warm orange/brown/burgundy tones for my eyes. My base also becomes more full coverage since the heat isn't around to melt it all off my face. Other than that my techniques stay pretty much the same, unless I am trying any new beauty craze/trend such as 'baking or strobing' from the past couple of months. Thirdly my next change happens with my sense of fashion and style. I'm definitely not a fashionista in any way. I mostly wear what I feel comfortable in and what suits me, without paying much attention to current fashion trends. But when it gets chilly I do opt for all the cosy knits, big scarves and oversized items to keep warm. I also love to choose autumnal colours such as the orange, brown, burgundy shades which you can see in this stunning Accessorize bag. Another essential for keeping warm is of course hot drinks in the form of tea (mostly) but hot chocolate and milky coffee from time to time also. 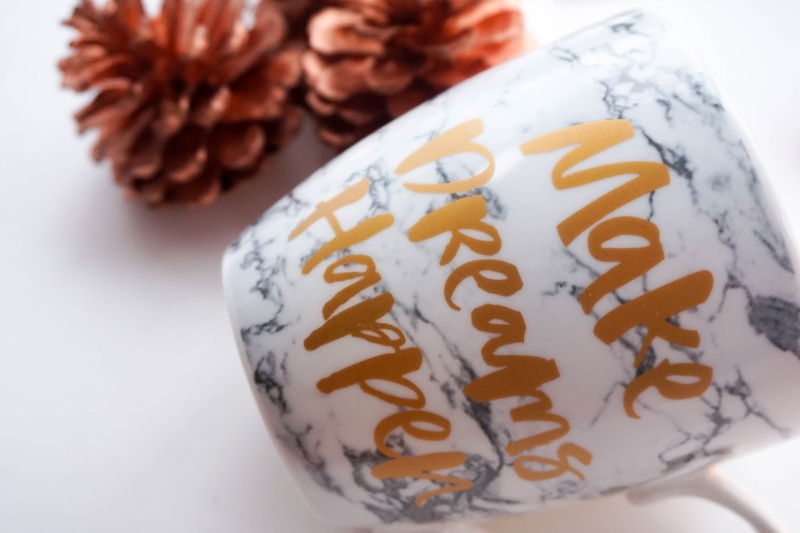 One sure way to keep me feeling happy is by picking up gorgeous mug design such as this #bloggersdream version from Primark, which was an absolute bargain too. There's just something about drinking from a cute, Instagram worthy cup that certainly makes the whole experience more enjoyable (just me?!). Last on my autumn essentials list is of course decor and by that I mean plenty of candles and fairy lights to create a super cosy atmosphere. I just love being snuggled up on my sofa, whilst being surrounded by warm, lit up candles when it's pouring outside... it just instantly gives you a feeling of comfort and makes me feel relaxed. Plus I always opt for scented candles, mostly fruit/fresh kind of scents such as this budget Primark option. Aren't Primark just killing it with their homeware section lately?! 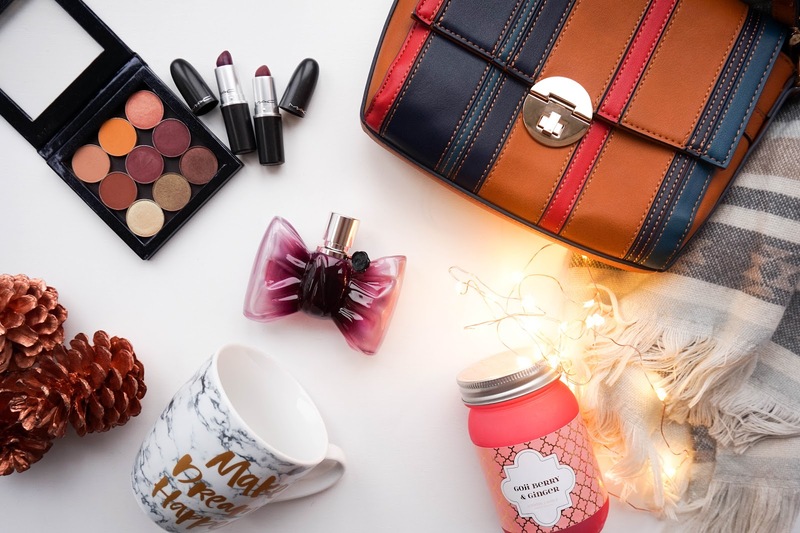 There's so many gorgeous products to choose from and I am definitely due a shopping trip very soon. With that my autumn essentials list comes to an end and my lusting for cosy evening, snuggled up on the couch grows even more... fear not I'm sure London will get the memo soon and we will be hit with chilly rainy days any moment now. 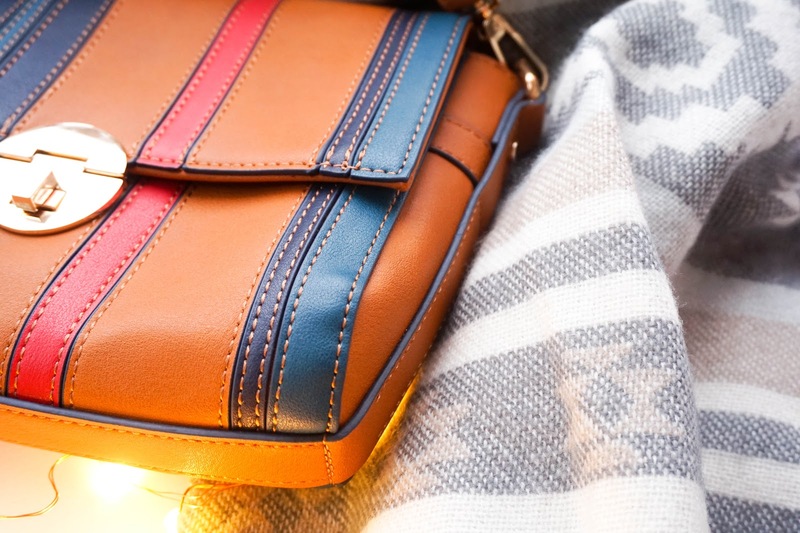 I would love to hear all about your top essentials for autumn?